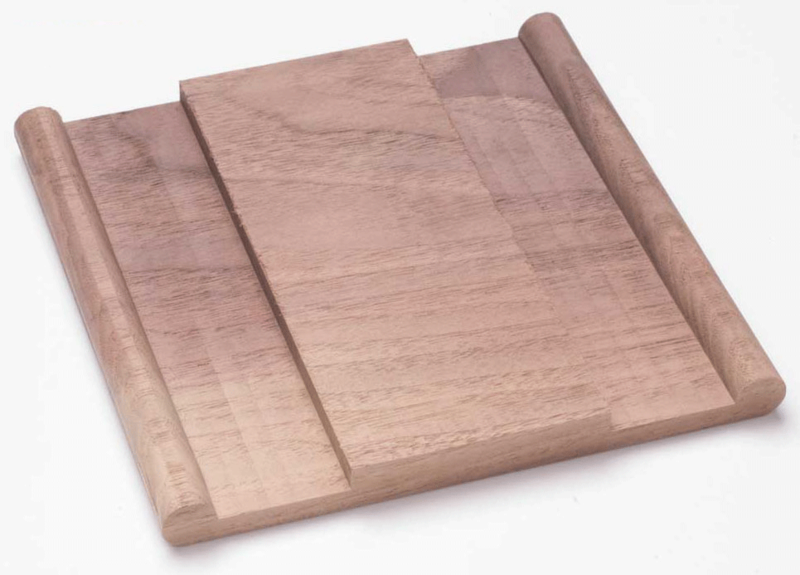 Available in Metric Version (Click here for the matching Router Bit Sets). 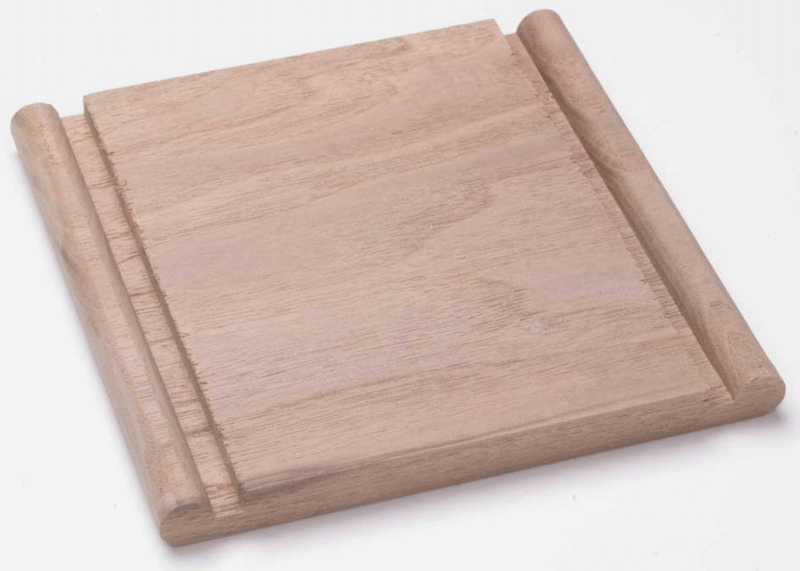 So you’ve designed and built the ultimate jewelry box or cabinet, and it is with some apprehension that you approach that final step, installing the hinges. Metal hinges are a pain. Let’s face it. It’s not so much the hinge itself, it’s those darned brass screws. When you finally do get the pilot hole centered properly, the head of the screw is sure to twist right off during installation. It makes you wonder how many brass screw heads are actually glued instead of screwed in the hinge. What’s the solution? 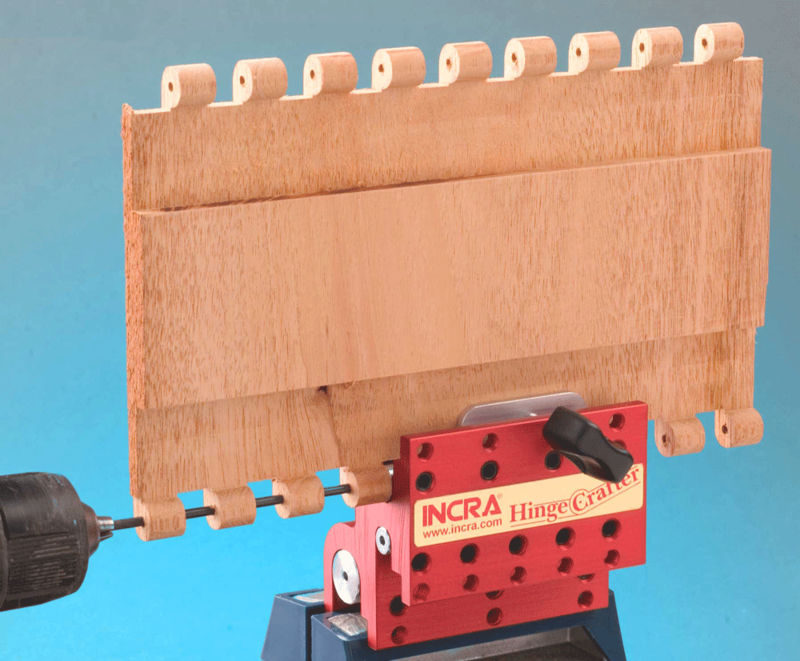 Just combine your INCRA Positioner or I-Box Jig with the HingeCrafter drill guide and the results will be beautiful wooden hinges ready to glue right into your project. 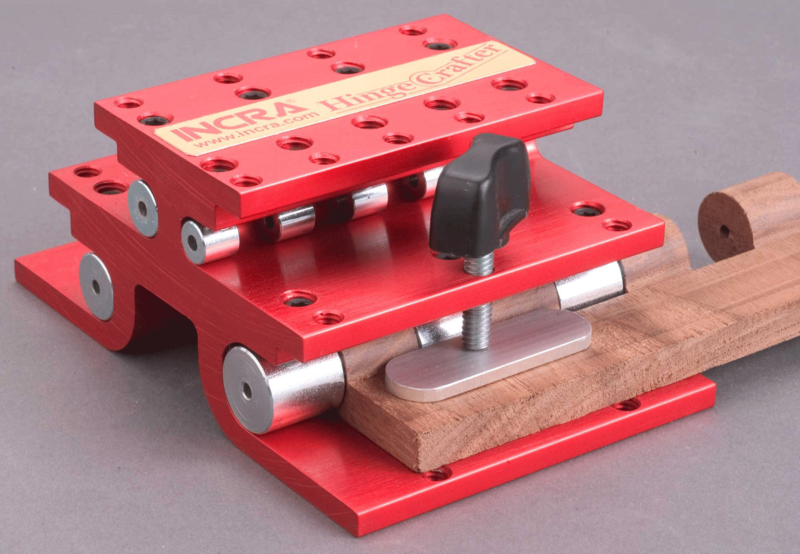 That's right, you now use the HingeCrafter along with your INCRA Positioner or I-Box Jig to make four different diameter hinges with our famous incremental accuracy. 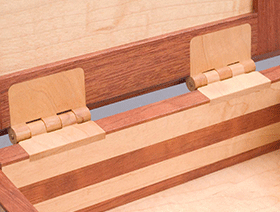 As you see here, the HingeCrafter easily works with extra-length hinges. 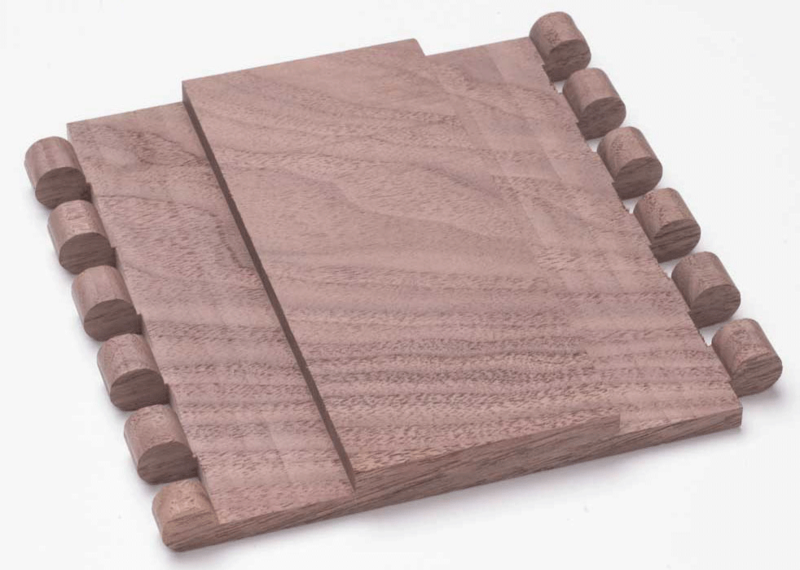 Between the four diameters and the many possible lengths with longer drill bits, you have hundreds of options for your next hinge based project. Your only limit is twice the useable length of your drill bit. 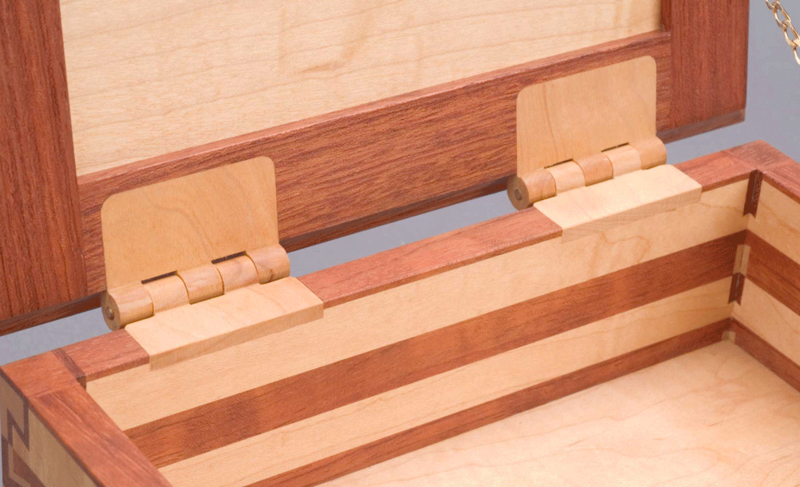 The included bit will make hinges well over 10" long. 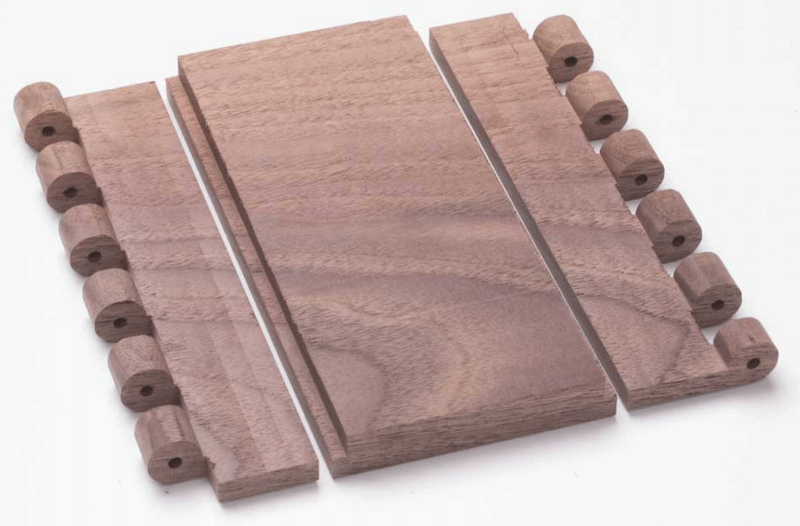 Ask our dealers for even longer bits for the longest wood hinges you have ever seen. Four diameters, dozens of lengths, unlimited choices. Step 1: Prepare wood blanks. Step 2: Bullnose first round. Step 3: How to prep stock. Step 4: Increase hinge leaf length. Step 5: Cut hinge knuckles. Step 6: Drill hinge knuckles. 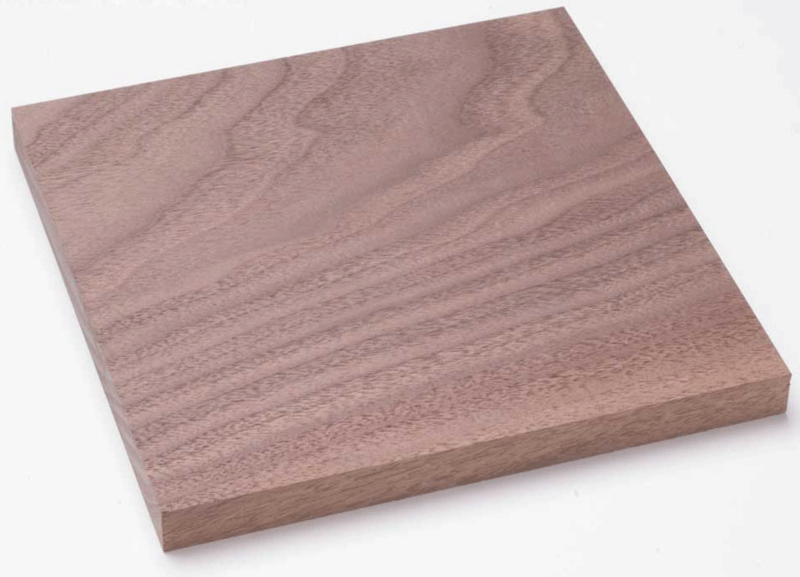 Step 7: Crosscut ends from blanks. Step 8: Rip hinge to desired width. 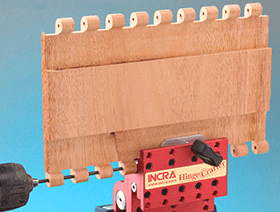 Click to download INCRA HingeCrafter Manual in PDF format. 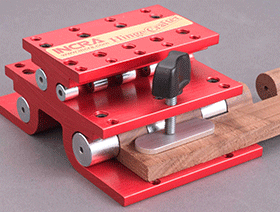 Click to download INCRA HingeCrafter Video in Windows Media format. 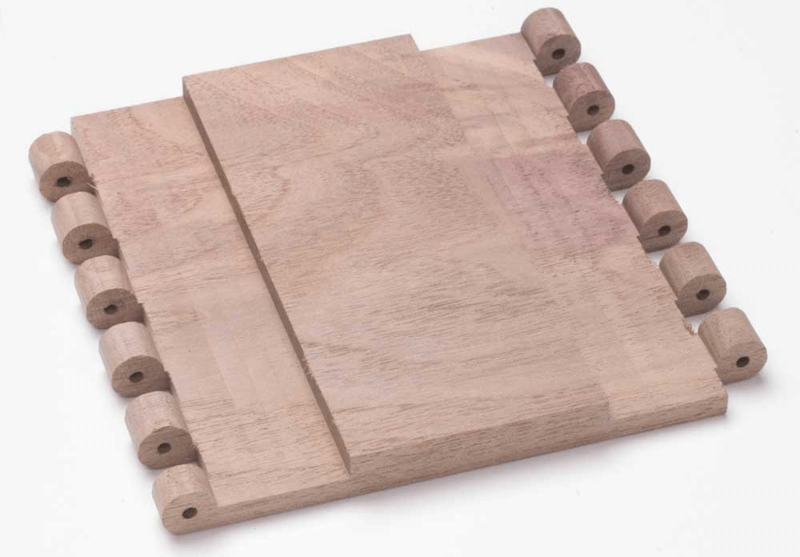 8-Piece INCRA HingeCrafter Router Bit Set This custom-packaged, American-made Whiteside set includes all of the matching bits for the HingeCrafter. 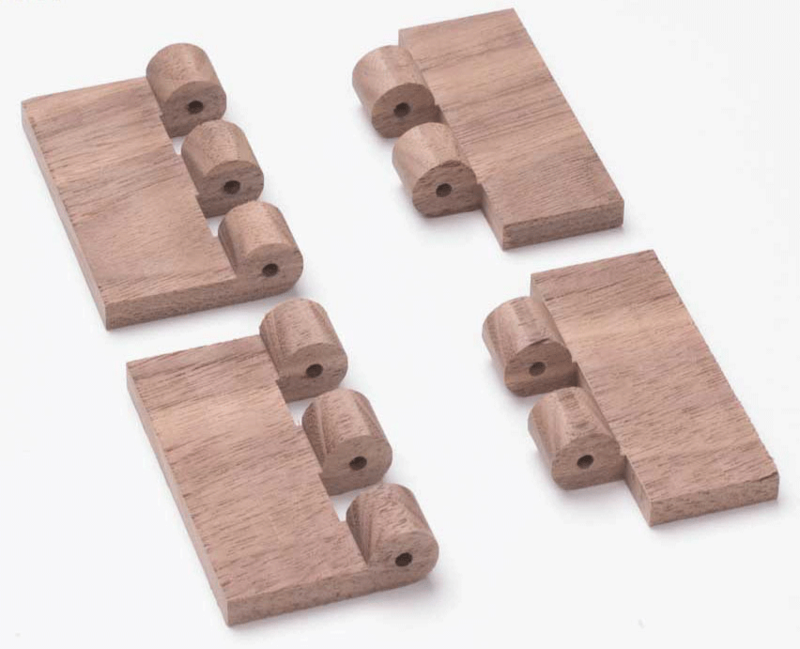 8-Piece Metric INCRA HingeCrafter Router Bit Set This custom-packaged, American-made Whiteside set includes all of the matching bits for the metric HingeCrafter.